Marchionne: "Finishing the year with cash on your balance sheet instead of debt is a big, big step for us." DETROIT -- Nine years after emerging from bankruptcy protection, Fiat Chrysler Automobiles could -- by June -- finally join other major automakers that have more cash on hand than debt on their books, while the company's next CEO won't be revealed until later this year, FCA CEO Sergio Marchionne said. Marchionne, entering his 15th and final year running the automaker, said the automaker could finally have more cash on hand than debt by mid-year as it works to meet aggressive financial targets set in 2014. "That [debt] problem is on the way out," Marchionne said, reaffirming the company's financial targets to generate up to $9 billion in operating profits this year. "Finishing the year with cash on your balance sheet instead of debt is a big, big step for us." U.S. tax reform, which was signed into law in December and cut corporate taxes, will mean up to $1 billion a year going forward in tax savings. 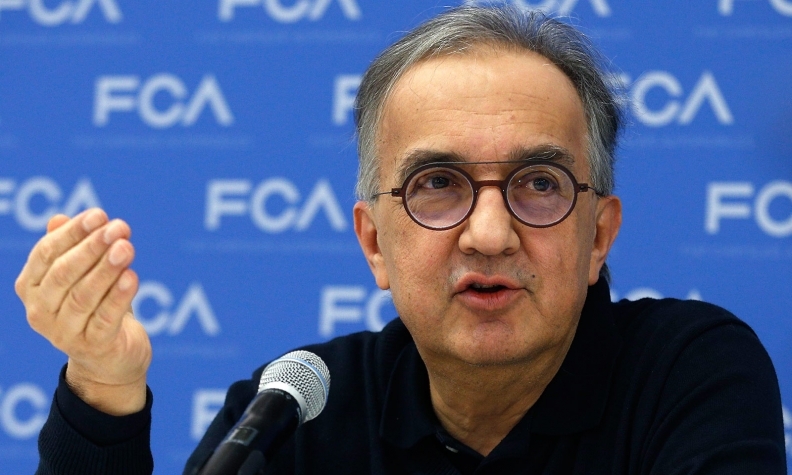 Marchionne said FCA's senior leadership felt an obligation to share the windfall with 60,000 employees with the $2,000 onetime bonus announced last week. FCA's board of directors will pick his successor, to be disclosed this year, from among a group of internal male candidates. He said no female candidates were available for consideration because of the human resources FCA inherited. Repatriating the Heavy Duty Ram pickups into the United States, which was announced last week, was "an act that was owed. It was owed to the constituency that allowed us to survive in 2009, and to the 60,000 people that work here today." The Jeep Wrangler-based pickup truck does not yet have a name, despite press reports that it will carry the historic "Scrambler" name. Marchionne said the Jeep pickup will be "expensive; intentionally so" because it is designed as a lifestyle truck that is likely to generate annual sales below 100,000 units. "I'm a natural buyer for that pickup truck, by the way," Marchionne said, adding the Jeep pickup won't compete with the midsize Ford Ranger or the Chevrolet Colorado on price, and won't be in dealerships until mid-2019. The company would not want to change the North American Free Trade Agreement, if given a choice, but "I sincerely hope that some of the demands pushed by the administration are going to be retuned." FCA "needs a metric-ton truck" for its international product portfolio, and that it will be made in Mexico and would be marketed under the Ram brand in almost all locales, but likely won't come to the U.S. The Dodge Grand Caravan minivan must be replaced in two or three years. "The Caravan needs to continue and needs a new life. It will continue to be in the minivan segment. It has to be," Marchionne said. "One of the attributes of the Caravan is an incredibly inexpensive and popular product. We need to find a way to replace that with something that is probably not in the same price category, but does have the same attributes." On the slow development of the Alfa Romeo brand and its ability to compete with BMW and Audi: "We're in nursery. We just started. We have two products out, which are benchmark products," Marchionne said. "But I think the Alfa story is a longer dated story. It takes time."